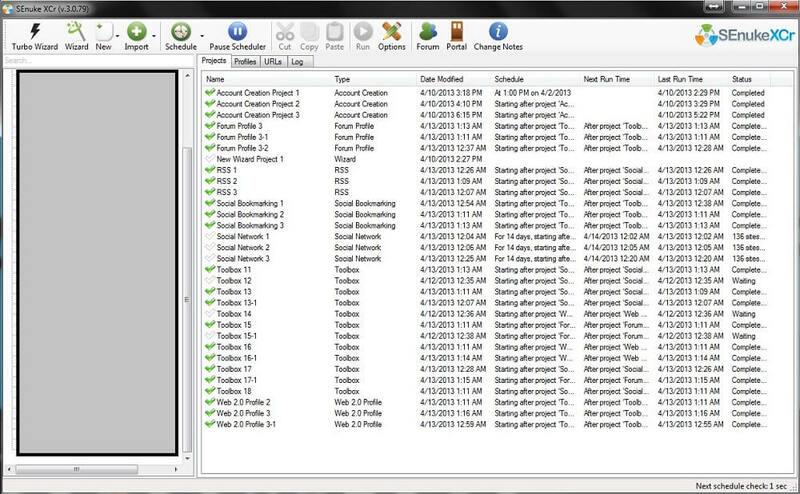 SENuke XCR is a very powerful link-building tool that makes it possible for you to post to various platforms. It may come with a hefty price tag, but the plethora of functional features it offers makes the product worth every cent. However, a lot of people fail to take full advantage of the tool’s full range of capabilities simply because they do not know how to use it effectively. This has resulted to a growing demand for a high quality tutorial and guide. In response to that demand, this SENuke XCR tutorial review has arrived. 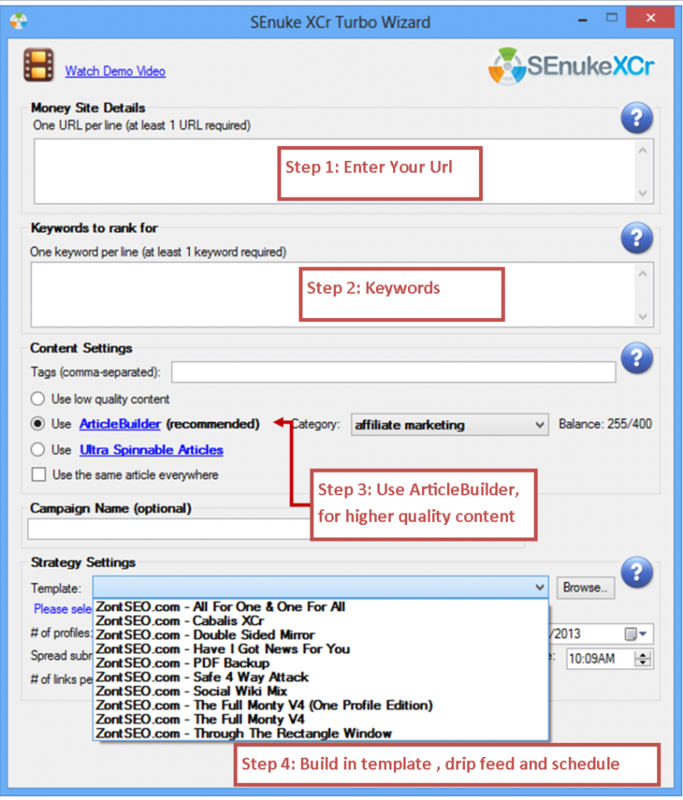 The goal is not only to help you learn the rudiments of the SENuke link-building tool but to master its vast features. Read on and learn how to wield the power in your hands! To master SENuke XCR and use it like a pro. To learn the process of importing custom target files. To be proficient in building Tier 1 links of the highest quality. More importantly, you will have access to my personal tool collection! Free SENuke 14-day trial – You can download the free fully-functional trial version of the link-building tool anytime! Org – Compared to dedicated proxies from other providers like SquidProxies, the ones offered by BuyProxies are far superior. Personal Targets, Link Template, Footprints, and Videos – These bits and pieces are my personal collection that have been gather throughout the course of my nuking career. The video is free for you to share to anyone who may wish to download my footprints, personal target list, and link template. The video is in HD format and can also be run from your mobile device and other platforms. Everything starts in the main interface. Thus, it is important to first be familiar with its features. 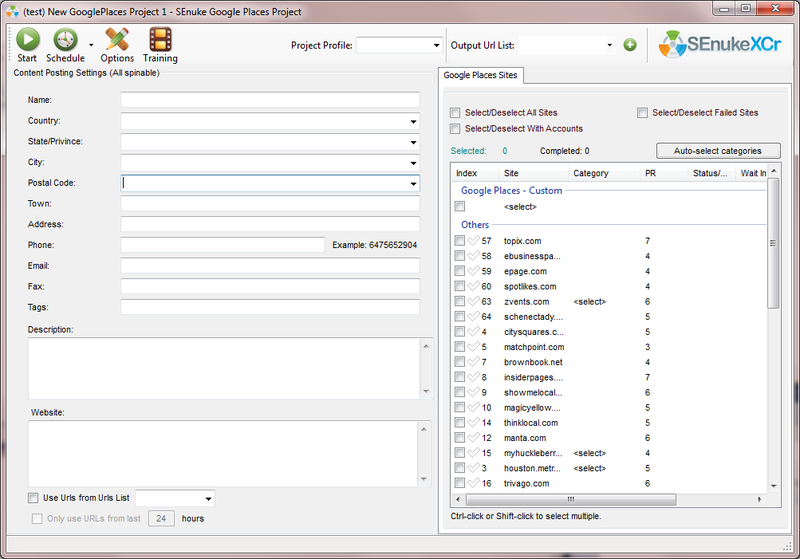 The top-left portion of the main interface contains an area for creating your projects and campaigns. 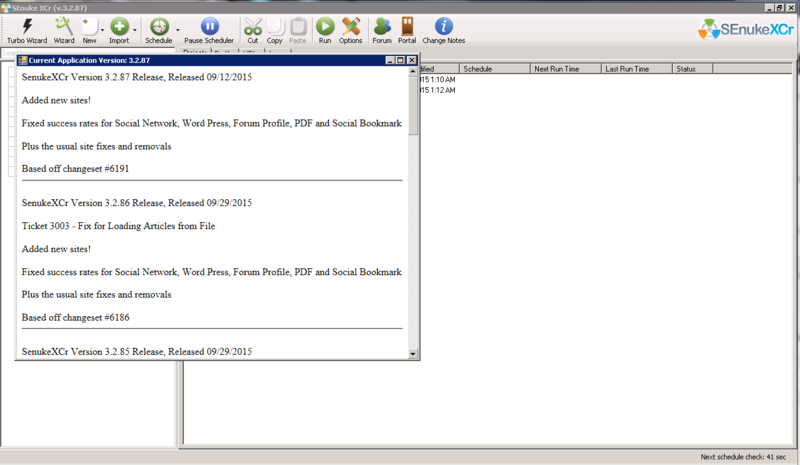 “New” contains various options for new projects including RSS, article directories, and social bookmarks, among others. Beside this section are the important tools that will be covered later in this SENuke XCR tutorial review. Go to options and modify the wait time for email verification. Change it to 15 minutes, while leaving the rest with default values. Then, set up your captcha service. While SENuke has a built in captcha super integration feature, a lot of websites employ 2CAPTCHA, and this is not supported by the captcha sniper. This will only result to resounding failures for your campaigns, and you will be much better off with dedicated services, probably the most affordable of which is DeathByCaptcha. The portal contains a collection of scripts created by other SENuke users. Your subscription comes with 10 points that you can use to add the same number of scripts from the selection into your own collection that will help you obtain more links. The timeline of SENuke updates is contained in “Change Notes.” It is updated with new site additions on a regular basis. This is a sign that the software is well-maintained since new updates are released consistently. Our next stop will be the wizard. Setting up campaigns and projects is simple and convenient; and it is all because of this tool. Just key in your website, keyword, and tags, and that’s it. The tool will cover the rest. It will do the scraping, building and spinning content for you. It will then proceed to build your project, depending on the settings you made. While the Turbo Wizard makes the entire process look very simple and easy to do, I wouldn’t advice beginners to use it directly at the start since the tendency to lose control over some key elements is great. The quality also suffers, in general, and this is something that you don’t want to happen. However, if you are pressed for time and you need to quickly launch a campaign, then this is the ideal tool to use. Now, it is time to discuss creating projects and campaigns. First, Click “New” then select “Campaign.” Assign a name for your campaign then type it. For purposes of this tutorial, name your campaign “Test.” Press “OK.” After doing so, you will notice that the rest of the options are now clickable. The program will then produce a profile that has a first and last name, as well as other usernames. Click “Create Email Address, then choose “download pre-created account” and a Hotmail email address will be provided. Once everything is done, you can select the sites to register with. There is a vast selection of websites on the list; just choose the ones you prefer. After you click “Start” the process of registering with the sites will begin. Click “New” then double-click “social bookmarking.” Key in the information required. Input the URLs you want to bookmark in the provided box below, as well as the spinnable title, description, and tag for each. Choose the sites where you want your content submitted. Clicking “Start” will initiate the bookmark creation process. The steps are similar whether your project is a social bookmark or a press release. 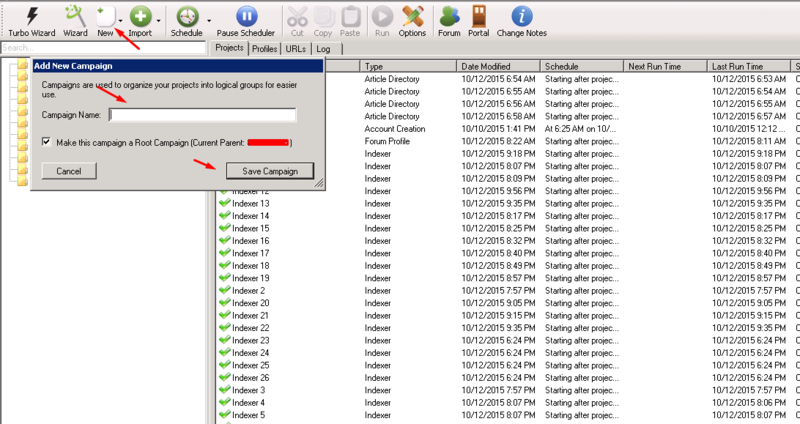 One neat feature of the program is to automatically start campaigns one after the other. Begin by creating a new account and a new social bookmark. Just input the details similar to what we have previously done. There are various options available. You can submit to all the sites, submit only to selected sites, or have the submissions spread out over a set number of days. This feature will save you time and effort you will otherwise spend in running multiple projects as the system will automatically do it for you. At this point, you already have a good grasp on setting up and scheduling projects. The next step is to learn how to import a target site list to allow you to obtain more quality links. There are built in sites that come with your SENuke XCR subscription, but all product users have similar access so I recommend you download my personal list that can be found at the last part of this review. From the list, you can import and build links from 400 new sites. To import the list, all you have to do is follow a few easy steps. Create a campaign & account creation project. Select the types of site to include. Open each type of site then input your links in the provided box. In my personal list, you will find the site types sorted according to platform. My choice is Article Beach, and my links are pasted underneath. Tick the box marked “Check Duplicate” then click “Save New Sites.” Reply with “Yes” to allow the system to add the new sites. Repeat the process for each platform. This will result to about 500 sites. I suggest that you watch video 2 of the tutorials on tiered link-building so you will understand what scraping websites is all about. Then, you can proceed to downloading the resource pack containing a footprints list for scraping websites. Generating a big target list is crucial if you want to obtain links on websites that other users are not getting links from. 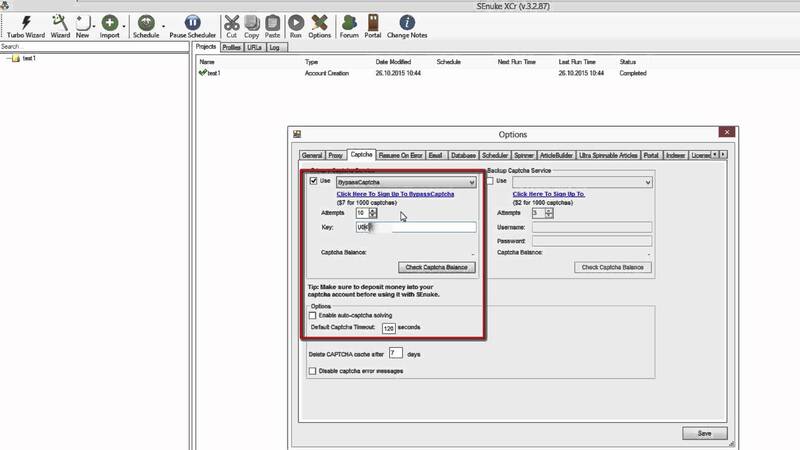 For this part of the SENuke XCR Tutorial Review, we will use the regular Wizard in lieu of the Turbo Wizard in setting up a top calibre tier 1 link campaign. 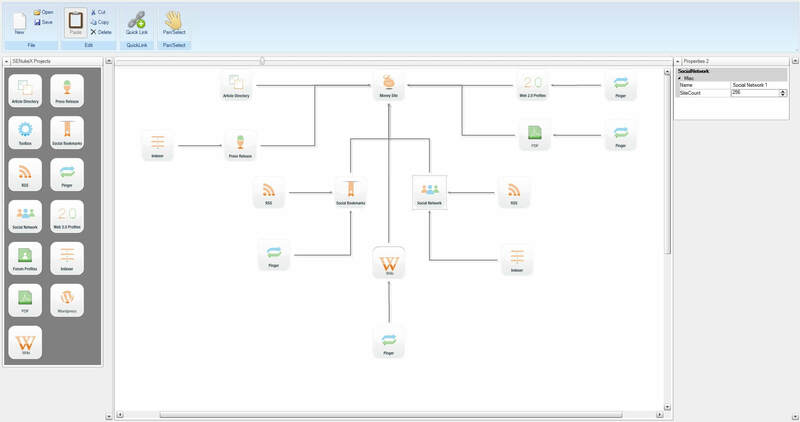 Open the Wizard and input the required information like name, number of profile, URL of your website, as well as KWs. Complete the section on “About Me” and author bio. Click “next” to proceed. 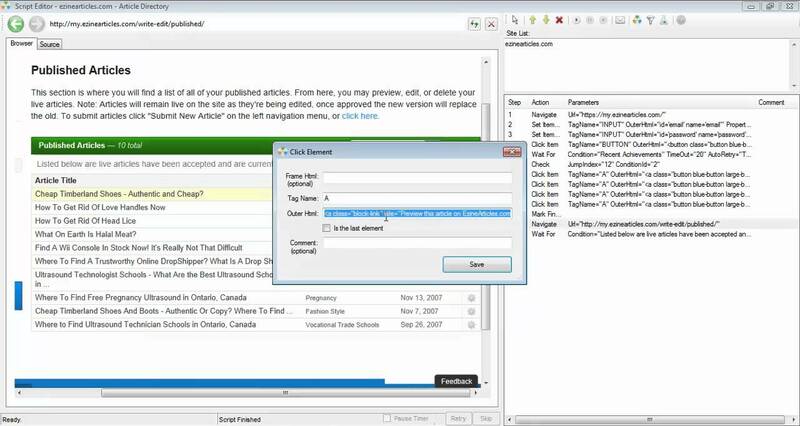 The visual designer with the tiered link-building template will appear. The visual designer offers pre-defined templates that make structure linking simple and convenient, but you can quickly make your own as well. Drag various modules to link to your bread and butter site like article directories, wikis, social bookmarks, press releases, and social networks. If you don’t want to go through this process, I have made a specific template that you can download after this tutorial. Once you have done your template, click on “next.” A pop-up settings page will appear. Have it generate and download a pre-created account automatically. Note that if you’re using own personal email address that has your domain name, failure rate will generally be lower. Some websites, however, ban accounts from AOL, Hotmail, and Gmail, among others. To make sure that everything is properly set up, don’t forget to check the email settings. If you have seen the tiered link building video 2, you should’ve already prepared the necessary content. Proper spinning must be applied to your content. Refer to the video on advanced spinning if you do not know how. Once your content is ready just paste it in together with the article, name and author bio. Ultra Spinnable Articles – Get pre-written and spun content on specific topics. 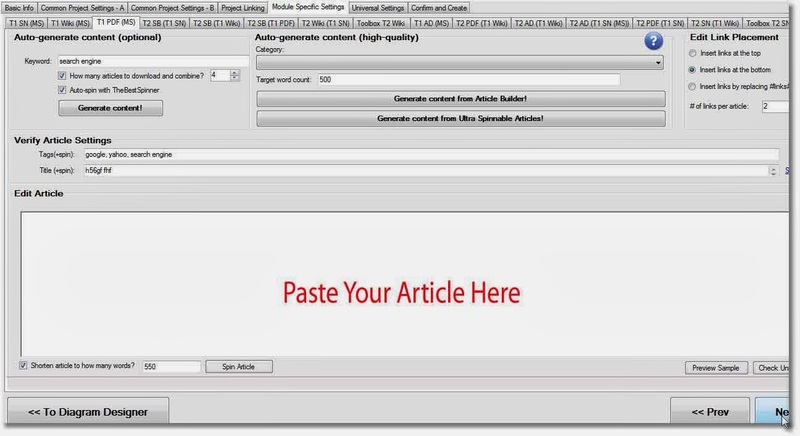 Article Builder – Get scraped and spun content on a specific topics. Article Forge – Get scraped and spun content on any topic. 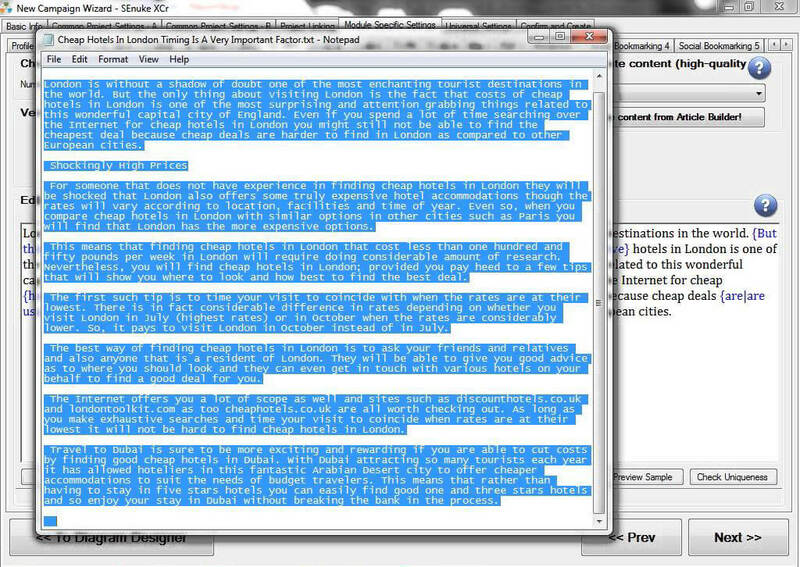 Kontent Machine – Get pre-written and spun content on any topic. Because SENuke always prefers to insert things automatically, you will get a warning message about links. Just reply “Yes” to indicate that you intend to keep the links you inserted manually. Again, just input the title, paste the author bio, and your press release. Proceed to fill out the social network content. Paste the article and article title. If you want images or videos included (many websites allow this), refer to the video on advanced spinning. Select your preferred captcha solving service, making sure you have available credits and your system settings are properly configured. You must setup a schedule for the duration of your campaign run, say 14 days. Next limit the submission sites for each module; the ideal is to select around 300 various sites for every module. 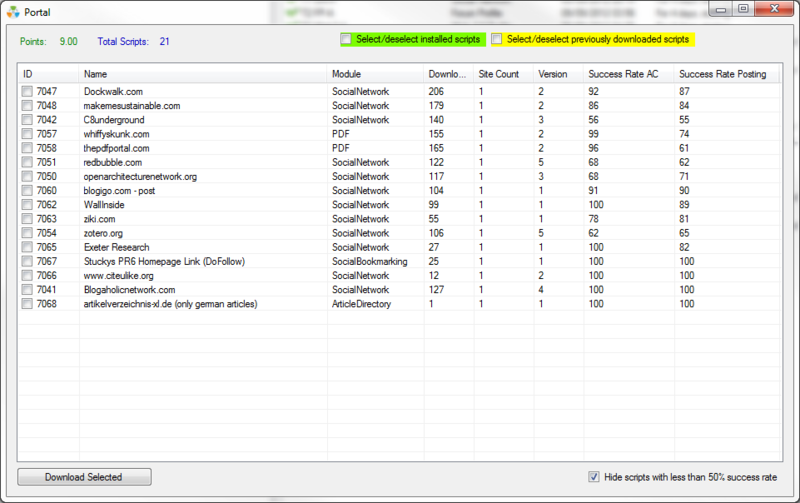 Under every module, you’ll see the number of sites you have. The figures are all good, but you will get around 1000 in social bookmarks. Trim it down to around 300. At the bottom, randomly select sites or first choose high PR sites. I prefer natural-looking profiles so I recommend random selection. Hit “Finish” and then “Next” after which your campaign will be ready to export. Hit “Finish” once more to create the projects. While doing its job, the Wizard automatically inserts stuff you don’t need; thus, you have to manually edit every project. 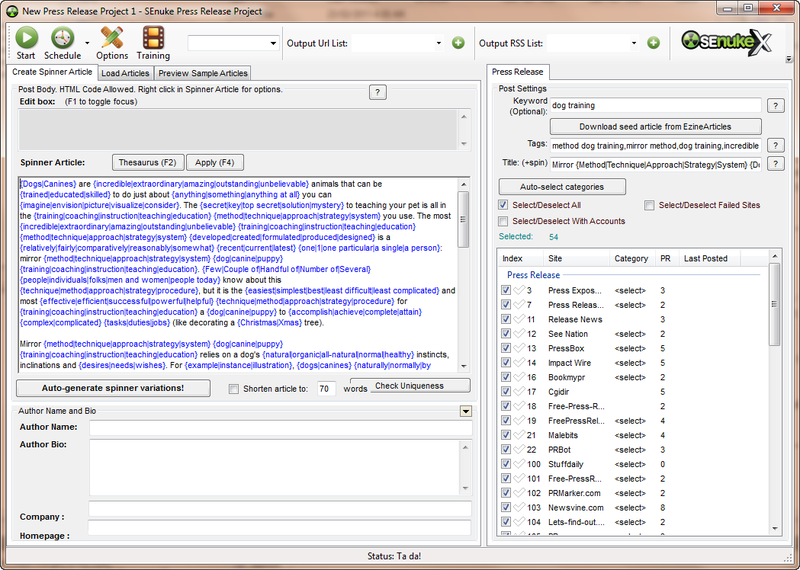 Double-click on a project such as Press Release. You’ll find that the wizard has placed something similar to “#keep##|Money Site Url LIST 1]#” at the bottom part of the “Author Bio.” Just delete it and do the same for the rest of the projects. While the Wizard intends to make things easier for users, you can just get rid of the “extras” since you have already inserted the links manually. It has to be manually done since no option is provided to disable the feature. Once all the unnecessary junk is removed, the campaign is set up! Once you’re don building your campaign, click “Article Directory” to see which ones worked and which ones failed. These are signified by the green check marks as well as the red crosses. If you intend to build 2nd and 3rd tiers, refer to tiered link building video 4 for the process on how to do it before you can export live URLs. Go to the tab marked “URL” then choose sort by type. Select all after opening each one; right-click then copy and paste into a notepad file. Repeat the step for each of the items on the URL list to obtain a complete list of tier 1 links that you need for the succeeding steps. Following is a sample of the links we have previously built. This one is from the list of Social Networks, and loaded in a browser. You’ll see our article appearing on the PHPMotion platform. The article has unique readable text, a video, some contextual links, and of course, a back link to my website. That’s it! You have completed the SENuke XCR tutorial review . You can now build top quality tier 1 links similar to how a pro does it. 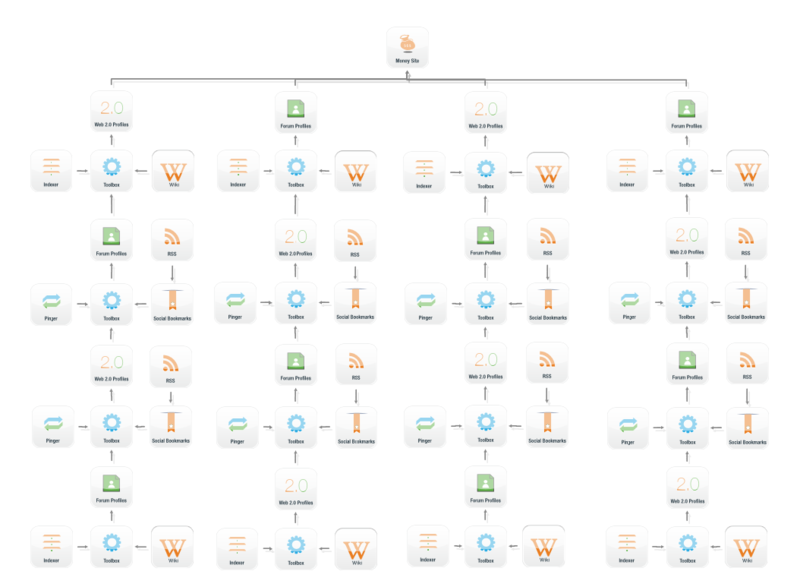 Start building them up with second-tier and third-tier links. If you are really serious about embarking on a nuking career, try the free full 14-day trial that you can actually use to build tier 1 links. SENukeXCR 14 Day Free Trial – Try the fully functional trial. Download now! BuyProxies.org – This site offers better quality proxies compared to other providers like SquidProxies. I therefore highly recommend BuyProxies. SEnuke XCR is an awesome tool to be used to build a huge range of high authority and good quality multi tier link types when it is used properly !. With this great tool, you have practically everything you need to get started without having to do manual heavy lifting of link building.